Below you will find a comprehensive list of homeopathic remedies that are most useful for problems with teeth and are most often used by holistic dentists. I can personally attest to the use of many of these remedies due my years of personal use. As for the dental part, I have found hypericum and arnica to be my go to remedies along with silicea. These were the main 3 that I used during my experience with the cracked teeth. The beauty of homeopathic remedies is that are inexpensive, never go ‘bad’ if kept properly and you will KNOW if you are using the correct one within several minutes as symptoms will begin to ease quickly. Also, homeopathic remedies can be used for many other physical problems, injuries, etc. Please do not hesitate to ask any questions you may have. And as always, see a dentist as soon as possible, when possible. Belladonna – Best used for early dental abscess accompanied by redness and throbbing. Bryonia – Use for acute inflammation or if pricking pain is relieved by firm pressure. Hepar Sulphuris – Use for abscess accompanied by pus formation. Myristica – Use when swelling is accompanied by numbness of the area. Pulsatilla – Use when the pain is accentuated by heat and relieved by cold water. Pyrogenium – Use when pus is present without drainage. Silicea – Use to hasten the discharge when pus is draining.This remedy suits especially abscesses about the roots of the teeth and dental fistulae; the pains are worse from eating warm food or or when cold air gets into the mouth; they are worse at night and the teeth feel loose. Aconite – Use for panic, fright, and general mental and physical restlessness, or sudden violent attacks. Calcerea carbonica – Use for the fearful, weary, and hopeless person who worries toward evening. Coffea cruda (potentized coffee) – Works well as a tranquilizer. Chamomilla – as a tranquilizing action for restful sleep. Also raises low pain threshold. Nux vomica – Works well in many high strung, nervous, irritable people with stomach problems. Pulsatilla – Use for states of anxiety. Belladonna – Use for grinding problem that causes painful teeth. Podophyllum – Use for night grinding when experiencing a burning sensation of the tongue. Tuberculinum – Use for children who grind their teeth. Zlncum metallicum – Use for teeth gritting during difficult times/stress and associated with loose teeth and bleeding gums. Arsenicum album – Use for unhealthy, bleeding gums. China – Use for gum tissue that is bleeding. Ferrum phosphoricum – Use for poor gum tone or gums that bleed after brushing. Hypericum – Use for tender gum tissue and to promote healing. Kali chloricum – Use for acute ulcerative tissue. Mercurius- more often indicated in toothache than any other remedy. Its special indications are a pulsating toothache, due to inflamed dentine or to periostitis of the sockets; it is worse at night and in damp weather. The teeth feel elongated and sore, and this soreness affects the whole of the jaw and face, and is worse from warmth, somewhat relieved by gentle rubbing of the face. It is the chief remedy in painful ulcerations at the roots of the teeth and for pain in the hollow teeth, the gums are swollen, ulcerated and retracted from the teeth, and there is usually an offensive odor from the mouth. Naturium muriaticum – Tissue integrity. Hepar sulphuris – Tissue with suppuration, chronic abcesses. Silicea – Periodontal abscess with swollen glands. Staphysagria – Loose teeth, pain increased by pressure.With this remedy the gums are unhealthy and retracted, and there is a tendency to decay of the teeth. They turn black and crumble as soon as they appear, a condition found in sycotic children. It is a splendid remedy for gnawing in the roots of decayed teeth, affecting a whole row, and is especially adapted to old women who have a mouthful of painful stumps. Symphytum – Injuries to periosteum. Stimulates growth of epithelium on ulcerated surfaces. Mercurius solubilis – Use for acute ulcerative tissue with a coated tongue and metallic taste in the mouth. Nux vomica – Use for swollen painful gums when the back of the tongue has a whitish coating and when the patient consumes a lot of stimulants such as coffee and tea. Phosphorus – Use on swollen gums that bleed easily, and when there’s an overproduction of saliva. Ruta graveolens – Use for injured bone and alveolitis (“dry socket”). Arnica – Use for bleeding accompanied by bruised soreness. Ferrum phosphoricum – Use when there is bright red bleeding. Phosphorus – Use for persistent bleeding. Arnica- use for feeling of being bruised/broken with dull throbbing especially when it hurts to talk. Aranea diadema – Use for radiating pain in the right side of the face that is aggravated by cold. Also use for sudden, severe pain in the teeth at night after lying down. Cuprum metallicum – Use for cramping of muscles. Gelsemium sempervirens – Use to relieve headache and pain of the upper back and neck, which extends over the head and for dizziness and numbness. Hypericum- use for sharp nerve like pain. Ignacia – Use for headache as if a nail were driven through the side of the head. Magnesia phosphorus – Use for spasmodic pains made worse by cold water and made better by heat and rubbing. Sanguinaria – Right-sided neuralgia-facial migraine. Spigelia – Use for pain involving the eye, cheek, and left temple areas. Zincum phosphoricum – Sharp pains on right side of head. Zincum valerian – Sharp pains on left side of head. Apis mellifica – Good for post-injection soreness after dental work. 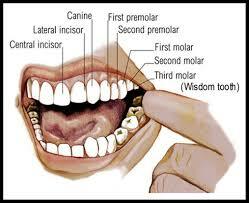 Chamomilla – Give one hour prior to dental appointrnent for patients with a low pain threshold. It also expedites the wearing off of the numbness following the dental appointment. Hypericum – Use where there is an injured nerve. Ledum – Use for puncture wounds and soreness resulting from a dental injection. Magnesia phosphorica – Use for stiff, sore jaws following prolonged dental work when the muscles are cramped and feel better with warmth. Staphysagria – Use for incision-type wounds after soft tissue surgery. Baryta carbonica – Use when there is excessive saliva during sleep. Bryonia alba – Use for an extremely dry mouth, with dryness of mucous membranes and great thirst. Phosphorus – Use for hypersalivation and when gums are swollen and bleed easily. Pulsatilla – Use for diminished saliva with no thirst. Arum triphyllum – Use for pain in joint on swallowing. Calcarea phosphorica – Use when mouth cannot be opened without pain. Carbo vegetabilis – Use for vertigo with nausea and tinnitus. Chamomilla – Use for low pain threshold. Unbearable spasms of pain radiating into the ear. Cuprum metallicum – Use for trismus of muscles. Granatum – Use for painful cracking of the joint. Magnesium phosphorica – Use for muscle spasms. Phytolacca decanda – Use for earaches with pain extending into teeth, jaw, and throat. Rhus toxicodendron – Use for joint stiffness that improves with movement and for popping” of TMJ. Antimonium crudum – Use for a toothache that is worse at night and is aggravated by heat. Aranea diadema – Use for sudden, severe pain in the teeth after lying down. Belladonna – Use for throbbing tooth that’s worse when pressure is applied. Has toothache from inflammation of dental pulp. The pains are burning and throbbing, worse at night, worse on contact, as in chewing and in the open air. There is a red hot face and great nervous excitability. Calcarea carbonica – Use for a toothache that worsens when exposed to hot or cold air. Chamomilla – Use for a toothache with intolerable pain that’s worse from warmth and not better with cold. Excellent remedy in unbearable toothache affecting a whole row of teeth occurring in paroxysms, with pains radiating to the ears. The special features are the intolerance of pain, aggravation, from warmth. It is worse during and after eating warm food, and especially from drinking coffee. Coffea cruda – Use for toothache that worsens with heat and is relieved by ice. This remedy will often remove the most severe pains of toothache which almost drive the patient frantic. It is a stinging, jerking, intermittent pain, worse while chewing, worse from warm drink, and entirely relieved for a time by holding cold water in the mouth, returning when the water becomes warm. It suits especially hypersensitive, nervous persons. Ferrum metallicum – Use for a toothache that is relieved by ice water. Magnesia carbonica – Use for a toothache that is worse at night, Patient must get up and walk about for relief. Magnesia phosphorica – Use for a toothache that is worse from cold and better from warmth. Taken all in all, Mercurius is probably more often indicated in toothache than any other remedy. Its special indications are a pulsating toothache, due to inflamed dentine or to periostitis of the sockets; it is worse at night and in damp weather. The teeth feel elongated and sore, and this soreness affects the whole of the jaw and face, and is worse from warmth, somewhat relieved by gentle rubbing of the face. It is the chief remedy in painful ulcerations at the roots of the teeth and for pain in the hollow teeth, the gums are swollen, ulcerated and retracted from the teeth, and there is usually an offensive odor from the mouth. Plantago major – Use for a toothache that is better with pressure and worse without cold air. Pulsatilla – Use for a toothache that is relieved by holding cold water in the mouth. Staphysagria – Use for pain from major decay of a number of teeth. Calcarea carbonica – Use for a delayed eruption. Chamomilla – Use for difficult teething. Zlncum metallicum – Use for teeth gritting during difficult eruption and associated with loose teeth and bleeding gums. Natrum muriaticum – Use for cold sores and fever blisters. Lips and corners of mouth dry and cracked lips. Nitricum acidum – Use for ulcers with irregular edges and a raw appearance with a tendency to bleed easily. When the treatment is prescribed on the basis of local signs and symptoms, prescribe low potencies, under 12X. When the treatment is prescribed on the basis of a mixture of local, general, mental and emotional signs and symtoms, prescribe higher potencies, 30X – 200X. Potency Vs. Duration of Action The lower the potency, the shorter its duration of action (acute conditions). The higher the potency, the longer its duration of action (chronic conditions). As opposed to pathologic or specific symptom prescribing, constitutional prescribing does not treat the disease entity, but rather the symptom complex of the individual who has the disease. The purpose of constitutional prescribing is not to seek to change a patient’s character, but by modifying it’s tone balances it, thereby giving systematic, systemic support to the self-healing effort of the organism. By encompassing the sum total of the individual’s physical, emotional, and mental picture constitutional analysis and prescribing performs psychotherapy while also working on the physical level. Entero Virus 68…has Polio Mutated? 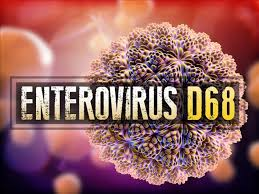 Enterovirus 68. It is here in the US and although considered ‘rare’, it would seem that it is currently reaching epidemic proportions if reports are true of hundreds of children across the country being admitted to hospitals for severe respiratory complications. 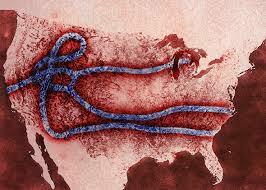 According to the CDC, only Colorado, Illinois, Iowa, Kansas, Kentucky and Missouri having confirmed cases. However, it is of such concern, that yesterday, September the 11th, 2014 that the New Kent County Public Schools in Virginia where I live (which is a rural area outside of Richmond, Virginia) felt the need to call all school age parents and issue a statement regarding enterovirus 68. The message was to let parents know that ‘they’ were monitoring the situation, to teach children not to touch their eyes, nose or mouth, wash hands repeatedly, do not share cups or toys or clothing and to keep home any child who was sick. The school system also referred parents to the CDC website for more information on the enterovirus 68. Typically, EV-D68 causes upper respiratory illness, such as low-grade fever, cough, runny nose, sneezing and body/muscle aches. Infected individuals generally recover on their own without incident by treating symptoms. However, some individuals, especially those with weakened immune systems or underlying medical conditions, such as asthma, may experience severe complications and require hospitalization with supportive therapy. This is what the CDC says about EV-D68. Although one documented case in Indiana the child had no such underlying medical conditions and yet was hospitalized. However, many parents with children infected with EV-D68 report severe upper respiratory distress within hours of coming down with what seems to be a cold/flu. Including high grade fevers uncontrollable with Tylenol/ibuprophen, extreme headaches, neck pain, rashes and vomiting, blisters in the mouth, limpness of limbs and ultimately the inability to breath (shortness of breath, wheezing). How do you contract enterovirus 68? According to the CDC: Since EV-D68 causes respiratory illness, the virus can be found in an infected person’s respiratory secretions, such as saliva, nasal mucus, or sputum. EV-D68 likely spreads from person to person when an infected person coughs, sneezes, or touches contaminated surfaces. According to the CDC there is no treatment, vaccine or ‘cure’ for enterovirus 68 (which is in the same category of viruses that cause polio and hand/foot/mouth disease) only ‘palliative’ care, ie, managing the symptoms and keeping people comfortable. Okay, so we now have that out of the way…as a mom of several school age children and an alternative health care advocate/practioner and prepper, I have some thoughts on ‘prevention’ and ultimately managing this ‘rare’ virus that seems to be sweeping across this country so quickly. First and foremost, goldenseal tincture used once a day, daily for the duration of the cold and flu season. I personally make my own goldenseal tincture and use it regularly whenever someone gets a cough, cold or the flu given that this herbs nature is to work on viruses first and foremost in the mucus member body systems (eyes, mouth, sinuses, stomach, intestinal tract). There is no danger in using this herb preventively and maybe used in children 6 months and up. The tincture works best and the best part is that a small amount, when properly prepared will go a long way! Goldenseal is safe for pregnant and nursing women also. Another herb worth noting is Devils Club (Oplopanax horridum or Fatsia horrida) though I would tend to reserve this herb for the first sign of cough or cold and not so much as a preventative. Please be sure that when you buy any herb in tincture form you buy from a reputable source. The best would be to buy from an herbalist who makes their own tinctures (ie a private person). Next best a nationally known company. An herbalist who makes their own tinctures will have the strongest available tinctures. Unfortunately, due to FDA regulations and other national and state ‘authorities’ large companies engaged in herbal products often are required to dilute their tinctures down to the point that in many cases you have to use twice the amount of tincture recommended below to get the desired results. How much to use and how? The BEST way to use a tincture is to place the desired amount directly under the tongue and hold it in the mouth for as long as possible without swallowing!! Yes, it tastes nasty, but no one said medicine tasted great. If necessary, it is fine to dilute the tincture in a small amount of water or juice and sip very slowly, again, not swallowing immediately. In some cases if you do not want alcohol in your tincture or cannot tolerate it you may be able to make your own glycerin tincture at home or, to rid the tincture of alcohol, boil water, place the tincture in the bottom of the cup and pour boiling water over it. It is up to you, personally I just use as is as I have found it more potent this way. There are herbs that are great for the respiratory system that you can buy bulk and put into a large pot of simmering water that will also help to disinfect the whole house without you going crazy cleaning. At the very least your house will smell great! Next up, homeopathic prevention. In past cold/flu season I have always had a homeopathic for the flu at hand to take one dose weekly when no known exposure has occurred or if know/likely once a day. Boiron Oscillococcinum is the traditional remedy for the flu. I am not sure how much this may or may not help, but it is cheap and only 5 pellets need to be taken. At best, it may help at worst you might not get the seasonal flu. I also found a homeopathic called LUNG LIQUESCENCE,RESPIRATORY DETOX FORMULA that supports the lungs in getting rid of viruses and mucus that I am incorporating into our routine. It should be taken the same way. A blend of specific essential oils including clove, lemon, cinnamon, rosemary and Eucalyptus Radiata. Frankly, just a few drops in honey (or on a piece of bread) will work at keeping you healthy. You may also put this blend into an ultrasonic diffuser to spread the germ fighting virus killing essential oil particles around you home or workplace. Word of note: do NOT put this blend into water and use to disinfect anything besides metal as many of these essentials oils will break down plastics and paint and may harm stone surfaces also. Now lets talk FOOD! Yes, food…food as medicine! Onion and garlic are two of nature’s BEST anti-virals available to everyone! I use a lot of these two ‘herbs’ in my own cooking. However, you can make teas or tinctures out them. There are a million and one ways that can be found online to do this. I also include onions and garlic in my homemade anti-sick honey syrup (do not give honey to children under the age of 1). 4 tablespoons of minced garlic. I put all of this into the jar and then cover with honey to the top. Be sure you stir the honey down to the bottom. Typically it takes just over 1 pound of honey. Next, grab that crock pot! Place the jar (with lid on) into the middle of it and add enough water to almost fill the crock pot. Place the lid on it (most likely will not close, but the idea is to retain as much of the heat as possible) and then turn onto to low and allow it steep/warm up this way at least 16 hours or up to two days. Stir occasionally. The food ‘material’ will separate from the honey…that is okay, that is why you stir it and once done, it will be A LOT easier to get the pieces of food out before use. To use your anti-sick honey infusion, I use 1 tablespoon of honey stirred into one cup of hot water and drink slowly. This is all I have for prevention at this time. 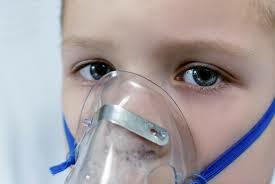 In my next article I will be talking about what do IF you get that dreaded cough/flu called enterovirus 68. Per law I am required to tell you that I am not a medical professional and all information above is based upon my private experience and documented research by medical professionals online. Always seek professional medical assistance if you are unsure. With an ongoing issue from the Japan Earthquake/Tsunami in the early part of 2011, there have been questions raised (yet again) about the contamination of the US food supply, especially from foods coming from the western part of the US including seafood from the Pacific Ocean. While we can most certainly take the precaution of knowing where the food we eat comes from, many times, we can’t find that information out or it maybe that we simply cannot avoid buying or eating foods that have been exposed to the fallout from Fukashima. But we can help ourselves by knowing what to do and what to eat to protect ourselves. First line of defense is to…. You don’t freak out over getting a CAT scan, MRI, X-Ray nor do you even begin to think about the food on store shelves that have been irradiated to extend shelf life or kill bacteria. 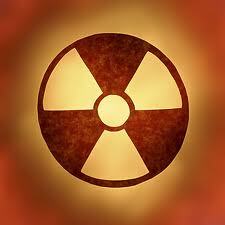 Life saving medical treatments also introduce radiation into the body. Cell phones and many other everyday ‘things’ also put out radiation, so we are already dealing with radiation ‘contamination’ within our bodies and we don’t think twice about any of this. Certainly the contamination coming from Fukashima is something to be concerned about, but knowledge is power and gives us peace of mind. We will NOT be able to avoid radiation in our environment nor in our food system, but we can counter-act the damage that it may cause. There are very simple ways to help the body remove radiation from the body. The ‘biggies’ (by the way) that we are most concerned about are Iodine-131, Cesium-137, Uranium-234 and Strontium. I have avoided mentioning kelp and seaweed because most of the ones available commercially come from areas that are heavily contaminated with the very isotopes we trying to avoid and/or protect ourselves against. But if you can find a good source that can be verified as clean, then by all means have at it. ACE- vitamins A, C, E. These are antioxidant vitamins that protect your bodys cells from environmental damage. You may get these through supplements or through the food you eat. If you choose to use a supplement to get these vitamins, make sure that you use a natural form of vitamin E…the synthetic version is not as effective as the natural form of vitamin E.
B vitamins are essential also to helping us ‘detox’ and feel great. Garlic – Garlic’s high sulfur content supports natural antioxidant systems like glutathione. Garlic extracts protect red blood cells from radiation damage by a glutathione-related mechanism. In mice, garlic extracts prevented radiation damage to chromosomes in vulnerable bone marrow cells. Onions – Cysteine, present in onions, binds with and deactivates both the radioactive isotopes and toxic metals such as cadmium, lead and mercury. The sulfur in cysteine helps the kidneys and liver detoxify the body. Pectin which is present in many fruits and vegetables such as apples, carrots, citrus fruits and beans, binds to and helps eliminate from the body different radioactive isotopes. Researchers discovered that after the accident atChernobyl, iodine-131 and cesium-137 were the most prevalent radionuclides in samples of food from theUSSR and fromPoland, Hungary, and other parts ofEastern Europe. Cesium-137 is also already being used in some countries to irradiate foods as a means of extending their shelf life at the supermarket. Research by the Food and Nutrition Board of the National Academy of Sciences demonstrates that natural potassium decreases the concentration of radiocesium. Potassium carries an electrical charge and is “wed” to sodium in many of the electrical/chemical balancing chores it performs in our bodies. Adequate intake of potassium is critically important when exposure to radiation is a threat because abundant potassium in the blood stream will block rapid absorption of Cesium-137. Begin to add potassium rich foods such as potatoes, avocado, raisins, sardines, flounder, orange juice, winter squash, banana, apricots, cantaloupe, tomato, milk, salmon, beans, sweet potato, beef liver, peaches, steak, haddock, pork, lamb, turkey, tuna, and chicken. Herbs with high levels of potassium include sage, catnip, hops, dulse, peppermint, skullcap, kelp, and red clover. You’ll also find it in horsetail, nettles, borage, and plantain. If a nuclear event escalates in which cesium is being released, then also adding supplemental potassium is recommended. Potassium regulation is affected by magnesium. Magnesium rich foods are Whole wheat bread, Whole grain cereals, tofu, spinach, soy milk, pumpkin and squash seeds, scallops and rockfish, raw plantain, okra, oysters, peanuts, halibut, raw broccoli and black beans. Spirulina – a single-celled freshwater algae and an incredible source of nutrients. It provides generous amounts of Beta Carotene, Vitamin B-12, Iron and Chlorophyll. Spirulina also provides RNA, DNA and important GLA fatty acids. Chlorophyll – A Report by Scottist in 1986 and report fromJapanshowed that increase absorption of Cadmium by Chlorella and increased excretion of Cadmium by threefold after intake of Chlorella from animal testing. Chlorella can also detoxify Uranium, Lead, Copper, PCB. Source: ” A good Health Guide: Chlorella ” by William H Lee. R. Ph.D. and Michael Rosenbaum, M.D. Guinea pigs on a diet rich in chlorophyll showed increased resistance to lethal X-rays. Both Spirulina and chlorophyll are consider ‘super foods’…meaning they are nutrient dense and highly detoxifying…great for the body no matter what. One comment I must make about purchasing Spirulina and Chlorophyll…know where it is coming from! I would personally avoid any spirulina or chlorophyll that comes from areas already contaminated by radiation includingChina.Hawaiiwould be the safest bet for spirulina. Heck, you can ‘grow’ your own algae if you so desire! Charcoal – Has the ability to absorb and neutralize radioactive substances and some toxic materials. Researchers report that 10 grams or 1 tablespoon of charcoal can absorb about 3 to 7 grams of materials. Taking finely powdered charcoal has been found to be one-and-a-half times as effective as the tablets. You may even put the charcoal into capsules if you so desire. Zeolite – Zeolites have been used to decontaminate animals, particularly sheep and reindeer, which have ingested radiation following nuclear disasters such asChernobyl. Addition of zeolites to contaminated soils has shown to reduce up-take of radionuclides by plants, and hence, reduce the spreading of contamination through the food chain. (Introduction to Zeolite Science and Practice by Herman van Bekkum). Do not take any product containing zeolite if you are taking any prescription medication containing heavy metals, such as lithium, or containing platinum, which can be found in some cancer medications or Radiotherapy with chemotherapy check with your practitioner. Medicinal mushrooms such as, Reishi, Turkey Tail, Matiake, Shitake and Chaga are all very important and well documented to enhance over-all immunity, protect against cellular changes and act as effective protectors against radiation poisoning as well as all manner of toxins that we ingest through out environment. Eatten raw (or in a yummy dish) or made into a tincture or syrup once or twice daily. Rosemary –Rosmarinus officinalis – Rosmarinus has been revered for its protective qualities down through the ages. It’s now been found that two compounds in this wild Mediterranean plant, Carnosic and rosmarinic acids, naturally deter radiation poisoning. In a study published this year in the British Journal of Radiology, February 2 edition, scientists inSpainreported finding that nothing fights radiation damage to micronuclei as well as rosemary. The fact that these compounds found in rosemary are fat soluble allows them to provide highly significant protective anti-mutagenic activity. Even the most powerful water-soluble antioxidants lack the capacity to protect against gamma ray induced damage. In another study published in the Food and Chemical Toxicology, the generation of radiation induced cellular DNA damage to skin from free radicals was the focus. The researchers sought to demonstrate that rosmarinic acid from rosemary would act as a photo-protector both by acting as a scavenger of free radicals and as an inducer of the body’s own endogenous defense mechanisms. They found that formulation of toxic production was delayed by the use of rosmarinic acid, and the protection factor was 3.34 times greater than for other compounds studied, as measured in micronucleus testing. Take 30 drops of rosemary tincture once to three times daily in a bit of water, depending on your level of exposure. For those primarily concerned about food exposure once a day will suffice. Rosemary infused oil, applied to the skin will also be effective. Use dried rosemary often in your cooking, and drink rosemary teas and infusions. Liver nourishing roots such as American ginseng (Panax quinquefolius), dandelion (Taraxacum officinale) and burdock, (Arctium lappa) are loaded with mucilaginous properties and assist with the elimination of toxins out of the body…they act as a kind of magnet, pulling these radioactive elements to them and helping you excrete them through the eliminative organs. Additionally American Ginseng, is proven to be radioprotective; it specifically protects human DNA from damage due to radiation particle ingestion, protects human peripheral lymphocytes from radiation induced stress, prevents radiation induced illness and protects against Cesium-137 exposure. 30 drops of tincture in water, once to three times daily should be an effective dose of any of these roots. Adding them to soups and stir fries and making water-based decoctions and/or syrups are all effective ways of using them. I found an additional resource that is well thought out and lays it all out on radiation exposure, from the ‘biggie’ event down to environmental exposure. It is a download that would be well worth printing off for future reference. As a last thought, while what happened in Japan last year is most certainly a human and environmental disaster that we have not yet fully come to appreciate nor seen the end of yet, we do have the power to help ourselves, protect ourselves and loved ones from the ‘fall out’ of radiation from environmental sources to man-made disasters. We can’t avoid eating…and Fukashima is not the only source of radiation contamination in our food chain. It occurs naturally too, but there are ways to counter-act it and they are simple and effective and most of us are probably already doing things that help to protect ourselves against radiation damage without even thinking about it. Even afterChernobylthose who ate ‘contaminated’ foods that were high in anti-oxidants, potassium and magnesium showed less of an effect from the radiation than those who did not. In other words, they couldn’t avoid eating contaminated crops, but they still ‘pulled through’ with less ill effects and many never developed any problems at all except for those closest to the disaster with direct exposure. Pick a couple of ‘new’ things to add to your diet and sleep well tonight knowing you are protecting yourself and loved ones from radiation danger. ACHOO! Herbs for Colds and Flu! 2 ounces of sugar will suppress your immune system for 4 hours! Stay away from sugar(s) if you can. Get plenty of rest! Sleep deprivation can weaken your immune system! Eat real food! (not food like substances). Stress: Keep your stress levels down and add adaptogenic herbs if you are in a high stress lifestyle. It is important to remember that a cold is (in most cases) a benign harmless infection, but Influenza is a potential fatal disease! It is responsible for deaths in the US especially among those with compromised immune system. It is important to know the difference so you can deal with them properly (if a person is going downhill and has the flu you may need to get medical attention!) Common cold can be caused by several different viruses, while the flu is cause by the Influenza virus. During a fever it is best to have warm or room temperature liquids (avoid any sugary drinks like juices, pop, etc.) drink herbal teas, have soups, room temperature Filtered water avoid heavy foods. Fast on foods (continue with liquids) failure to fast will lengthen recovery time. Keep your ‘patient’ in bed and do not overmedicate them simply support the body in doing what it needs to do! Steam inhalations are great at the onset of a cold or flu (or prevention) you can add a little rosemary essential oil, eucalyptus, Peppermint oil, Juniper essential oil or thyme essential oil (use small amounts of an essential oil and only those you know you tolerate). Vaporizer is a great item to have on hand. Flu-Rest is essential (going back to work too soon if you feel better, can make you susceptible to worsening symptoms or even possibly getting pneumonia). Neti pot- use a salt solution to rinse the nasal passages to kill microorganism (you can add a few drops of ethically wildcrafted Goldenseal to your neti pot). Breathing in a little vinegar in warm water can also help. Peppermint (Mentha x Piperita) Very easy plant to grow (propagates by rhizomes) Used for fevers, colds, flu, digestive upset. Antibacterial, anti-tussive. Chop up stem and leaf and in a cup of water and use as a steam inhalation. A little peppermint essential oil in vinegar makes a great disinfectant. Generally Leaf is used. Dosage: Infusion: pour a cup of boiling water on a heaped tsp of the dried herb and leave to infuse for 10 minutes. Drink as desired. Tincture: Take 1-2ml 3 times a day. Boneset (Eupatorium Perfoliatum). The name comes from ‘break bone fever’ a mosquito borne illness. Also was used for malaria, cholera, typhoid (any illness that produced a fever). This herb was used during the 1918 Spanish Flu and was very effective. The flower is the part used. Great for viral infections (combines well with elder) colds, flu, bronchitis, and pneumonia. Great for lingering viral infections. Dosage: For an infusion, use 1-2 teaspoons of dried leaves per cup of boiling water. Steep 10-20 minutes. Drink up to 3 cups a day. Add sugar or honey and lemon to improve taste. For tinctures, use 1/2 to 1 teaspoon up to 3 times a day. Should not be given to children under age 2. Use small doses in tea (1-3 ounces at a time every few hours until desired effect). Elder (Sambucus Nigra): Berries and flowers are used. Some herbalists use the flowers and berries interchangeably, and some use the berry syrup for preventive (colds and flu) and other viral infections. Flowers are great for flu treatment, fevers lung and sinus issues. Studies have shown that elder has stopped mutating flu virus and show to kill the virus. Yarrow (Achillea Millefolium) A weed growing freely in this area, touted at the ‘smart blood herb’ because it knows when to stop bleeding, yet can also help break up blood like in bruises. it is also used to treat fevers and help them to be more productive, circulation issues, hypertension, diarrhea and female issues. Thyme (Thymus Vulgaris). Antibacterial, antiviral, great for lung congestion, coughs, flu, COPD, bronchitis, and allergic rhinitis. Great to coughs especially in tea form where you can get the aromatics of the plant. Do not use the kind in your spice cabinet, they are generally very old. Get a supply from an herb store. Dosages: Infusion: Pour a cup of boiling water on 2 tsp of the dried herb and let infuse for 10 minutes. Drink 3 times a day. Tincture: take 2-4ml 3 times a day. Flu remedy recipe: 1 part peppermint; 1 part yarrow; 1 part boneset; 1 part elder flower; Mix equal part tinctures and take 1-2 ml 3 times daily. Note: I like to start with small dosages, and if they work I do not use the ‘recommended dosage’, it is your choice, use your judgment, but remember more is not always better, sometimes less is more! None of the information is designed to diagnose treat, or cure any disease. Always seek medical attention when needed! Thanks to the people I have studied with (formally or informally) for this giving me the knowledge to write this article (for their wisdom, knowledge and kindness). They are (in no particular order): Demetria Clark, Paul Bergner, David Winston, Kiva Rose, Jim McDonald, Susun Weed and www.herbmentor.com ( Recipe and dosages from herbalpedia). There are a lot of herbs/Alternative things you can use, but these plants are the ones I chose because most of these plants grow wild in my area or are easily cultivated! The above information has been gleaned from listening to seminars, Audio courses, taking formal courses. conferences, Webinars, and my own personal research and experiences. Thanks! Kelli Armes aka Maw-Maw Kelli! I can be contacted at kelliarmes@gmail.com or on Facebook Maw-Maw Kelli (Herb classes and More)! Depending upon what symptoms you are displaying you may want either one of the single remedies or a combination remedy. Typically a homeopathic remedy is a pellet, liquid or soft tablet. Directions on ‘how much’ to take come on the package. What I will suggest however is disregarding the ‘how often’. Acute/Active Symptoms: 3-5 pellets (2-3 tabs or 3-5 drops) every 15mins for the first hour or until symptoms begin to clear up. If after 4 doses in the first hour you aren’t noticing any benefit, reassess your symptoms and try something else. Onset/Not Too Bad/Just Beginning: 2-3 pellets (1-2 tabs or 2-3 drops) every 20-30 minutes until you notice the symptoms are gone. back off dosing to every ½ hour. If you symptoms begin to return within that half hour time frame continue to take the remedy every half hour. As time progresses you will notice a greater period of time between displaying of symptoms…you will have to pay attention to this. If at the half hour mark you still have no symptoms wait until the one hour mark before taking another dose and then pay attention as to when the symptoms begin to return so that you are gradually decreasing your dosing schedule to 2-3 times per day, increasing length of time between doses by a ½ hour each time. Once you have reached this 2-3 times per day for 1-2 days you can then stop taking the remedy and you are ‘cured’. With children I always recommend to stop after being symptom free for 1 day. Infants dosing should be ½ of that of an adults dose, however, as I have learned, sometimes with a young child the adult dose is appropriate to initially relieve symptoms so do not be afraid to use more in a infant or young child. AGAIN…the trick is watch for symptom reduction! If you aren’t seeing a reduction in symptoms with the first hour of use (2-4 doses) then move onto another homeopathic!! I have increased the amount taken in children in very stubborn or acute symptoms just to ‘tamp’ it down quickly and then reduce the amount taken once I have reduced symptoms. This can often be found in many drug stores and is well worth keeping on hand ‘just in case’ and should be used as a ‘first defense’. With that said, you don’t have to take the whole vial at one time as they instruct. I truly believe that this is a marketing ploy to make money. Instead, I suggest the following which has worked for me over many years. 1) To prevent the common flu…take 3-5 pellets at one time, every other day for one week. The following week, take 3-5 pellets 2 times that week and finally, the following week and every week there after, take 3-5 pellets once a week. Do this for the duration of the ‘flu’ season. Actually, I would take starting in September and then end in March. 2) If you feel like you are getting the flu…follow the standard dosing instructions above. Now, with that said, if you don’t start feeling better within 2-3 hours (in otherwords the symptoms don’t go away) you are most likely NOT getting the flu, but a cold. Try a different remedy that can be found on the Cold Part 3 blog page. The number one flu homeopathic remedy is GELSEMIUM . The flu has a slow onset and is associated with chills, tiredness and paralytic weakness. The chills begin in the hands and feet, and run up and down the spine. These patients feel as if run over by a truck. Aching pain is felt in the muscles and they experience trembing of the limbs with lack of mucular co-ordination. Want to lie down and be left alone. The patient is generally worse in the early morning and last thing at night. They feel better after urination and in fresh air. Please see below for more information on Gelsemium. Aconite: Sudden onset of the flu with great anxiety and fear. She thinks she is about to die. Worse: in a warm room, in the evening or at night, lying on the left side, hearing music, when exposed to tobacco smoke. Arnica: Flu with a feeling of soreness, as if bruised internally and externally. Symptoms come on very suddenly, especially after exposure to a dry, cold wind or from an emotional shock or fright. High fever, dry cough, sore throat and feeling of great worry and fear. The individual is very restless. Fear of death with anxiety, tossing and trembling. Croupy cough, early stages of croup. Other uses: This is the main initial remedy for acute trauma, injuries and accidents. Bumps, bruises, sprains, strains, cuts, etc. It is commonly given to patients before and after surgery to improve outcome, decrease bleeding and bruising and promote healing. You will find Arnica in all homeopathic emergency kits. Aconitum napellus: This remedy is useful for a flu that comes on suddenly and intensely accompanied by fever, anxiety, constricted pupils, and strong thirst. The person may feel fearful or agitated, and the fever can alternate with chills. Symptoms are often worst around midnight. Exposure to cold wind or a shock of some kind often precedes the illness. Apis mellifica: If a person has dry fever that alternates with sweating, facial flushing, and a very sore throat with swollen tonsils , then this homeopathic remedy may be prescribed. Pain may extend to the ears, and the eyelids may be swollen. Exposure to cool air and cold applications may bring relief. Despite the fever, thirst usually is low. The person can be very irritable, disliking interference. Arsenicum Album: Influenza in children with sudden onset and much prostration. Extremely restless, oversensitive, anxious and weak. Extreme prostration, out of proportion to the disease. Very restless, can’t stay in one place. Does not want to be left alone. Pale face with an anxious expression. Burning pains that are better with warm applications. Thirsty, drinks in small sips often. Worse between 1 and 2 a.m.
Vomiting and diarrhea are common. Diarrhea with acrid, offensive, watery stools. Too neat, upset by clutter. Desires fatty and sour things, especially lemon. Other uses: Food poisonings, stomach flues. Baptisia: Looks drowsy and drunk. Flu with high fever and a feeling of being bruised all over. Flu that comes on suddenly. Sensation of being bruised and sore all over, the body and limbs feel as if they are scattered. Profuse sweating with a high fever and an intense thirst. Dull red face, looks dazed and sluggish as if they may fall asleep at any time. Delirium with strange sensations, like as if there is somebody else in bed with him, parts of her body are separated, etc. Belladonna: Flu with a high fever, red face and dilated pupils. Dryness and burning heat. Everything is intense and concentrated in the head. High fever that comes on suddenly, often as a result of a change in temperature (e.g. becoming chilled or overheated, washing the hair). Flushed face, sore throat, eyes wide and staring, pupils dilated, bright red tongue, red throat with white spots on the tonsils. Ejection of food and drink through the nose and mouth from spasm. There may be confusion, delirium or vivid hallucinations. Symptoms tend to affect the right side of the body. Craving for lemon or lemonade. General aggravation at 3 p.m. Better: standing, sitting upright, in a warm room. Worse: any noise, bright light, movement, lying down, night. Other uses: strep throat, meningitis, abdominal cramps, menstrual cramps, etc, when the overall picture fits. Flu with a severe, throbbing headache, body pains. All symptoms are worse from any motion. Thirst for large amounts infrequently, preferably cold. Pains (headache, body pains) better by pressure. Lies on the painful part. Pneumonia, especially of the right side; pleurisy (pain on breathing and coughing). Business: worries, talks and dreams about it. Wants to go home. May be confused and not realize she is at home. Worse: any excitement, noise, touch, movement, bright light, from eating and coughing and at around 3am and 9pm.Other uses: Pain in joints, sprains, strains, when symptoms are worse from movement. Everything feels worse from even the slightest motion. Eupatorium – perfoliatum: Flu with body pains so severe, that the bones feel broken. Feels as if run over by a truck, with pain deep in the bones. Bursting headache and sore eyes. Thirsty for ice cold water (opposite to Gelsemium, which is not thirsty). Chills running up and down the back. High fever preceded by chills, especially from 7 – 9am. Ferrum Phos: Flu without any localizing or characteristic symptoms. High fever, usually 102 degrees or higher. Right sided complaints – Pneumonia. Flushes or redness or pallor. Fever preceded by chills, especially from 7:00 to 9:00 A.M. This remedy is also prescribed in early stages of flu or fever, even if symptoms are not especially clear. Gelsemium: Flu with chills and paralytic weakness. They feel as if run over by a truck. This tends to be the number 1 flu remedy. Take Gelsemium if you have heavy, droopy eyes; feel weak and tired, with aches and chills up and down your back; and want to be alone. After worrying about a forthcoming task or event such as a public speaking engagement. Bursting headache beginning in the neck and which may extend over the head to the eyes and forehead; relieved by copious urination. Double vision often before or during the headache. Eyelids are heavy and droopy, can’t keep them open. Fatigue, heaviness and dullness. The legs feel weak and shaky and they just want to lie in bed. Pain is felt in the muscles. Chills begin in the hands and feet, and run up and down the spine. Worse: early morning and last thing at night, in the sun, and when exposed to tobacco smoke. Bryonia also has pains, but they are much worse from any movement. Gelsemium patient does not want to move due to fatigue and heaviness, not aggravation from movement. Eupatorium perfoliatum patient also feels as if run over by a truck, but the pains are more severe, and they are felt in the bones. In addition, Eup-per patient is thirsty, and Gels patient is not. Other uses: Anxiety anticipating an important engagement. The face feels heavy, with droopy eyes and aching. Chills and heat running up and down the spine. Yellow slimy tongue, nasal discharge, ear discharge, diarrhea. Cough with easily expelled yellow slimy sputum. Thirsty. Averse to hot drinks. Wants to lie down, but it makes her worse, so she must walk for relief. Mercurius solubilis: Dirty, smelly, drooling. Increased salivation, offensive breath, profuse offensive sweat. Nux Vomica: Flu with great irritability and over sensitivity. Easily offended, angry, cold. Irritable, impatient, angry and easily offended. Very chilly. Chilliness on the slightest movement. On the slightest exposure to the open air, shivering and chilliness for an hour; dreads to go out into the open air. By the slightest draught he gets chilled. He cannot get warm. Great coldness not removed by heat, or by bed coverings. Wants to be completely covered. Very sensitive to light, noise and odors. Shivering and chilliness immediately after drinking. Fastidious. Wants everything just so. Collapse and fatigue states from overwork. Other uses: Ailments from overdoing: overeating, overwork, etc. Hangover. Phosphorus: The flu quickly affects the lungs, especially the base of the right lung. Lots of cough. Bleeding. Craves cold drinks, which may be vomited when they become warm in the stomach. Burning, ressure and constriction in the chest; worse lying on the left side; worse lying on the painful side (patient and the cough). Cough, worse talking and laughing. Pulsatilla: Clingy and weepy when sick. Flitting chilliness; chills in spots. Chilly in a warm room. One sided chilliness – heat – sweat. One cheek red, the other white. Palpitations with anxiety: must throw off the clothes. Dry cough at night, better sitting up, worse on lying down again. Thick yellow-green discharge from nose. Yellow-green expectoration. Tearful, craves company and sympathy. Better: open air, outside, slow motionOther uses: This is one of the most commonly used remedies in children. Whatever the problem (ear infection, teething, cold, etc), when the child is weepy, wants the caregiver next to him all the time and gets better only when held. This is opposite to Chamomilla children, who are often angry and reject kindness. Extremely restless. Has to keep on moving, rocking, wringing, for momentary relief. The bed feels too hard, aching everywhere, feels beaten and bruised. Everything is offensive: sweat, breath, discharges, stool, etc. The pulse is abnormally rapid for the temperature. High temperature with slow pulse, or the reverse. Creeping chills in the back, with a thumping heart. Feels as if someone else is in his bed. Consciousness of the heart beating. Rhus toxicodendron: Stiff and restless, better with movement. Restlessness. Wants to move all the time. Aching and stiffness in the joints, worse on first starting to move and better with continued movement. Red triangle on the tip of the tongue. Intense fever: thirsty: great prostration: weeps without knowing why. Severe aching in the bones. Fear of poisoning. She may refuse taking medicine feeling it is poison. Anxiety and fear which are worse at night. Other uses: Sprains, strains, when the pain is better with movement (opposite of Bryonia). feels better from hot showers or from getting up and pacing. feels worse when waking up, after lying in bed, or from keeping still too long. symptoms are often relieved by rubbing and stretching, but especially warmth and movement. Hot, burning sensations. This is a well known remedy for skin irritation. Partially recovers and then relapses. Very sensitive to the open air and drafts (opposite to Pulsatilla); worse from washing and taking a bath. The crown of the head is very hot but the feet are cold. The soles of the feet burn at night; they must be put out of the bed. Hungry and starving at 11am, but not before then. This remedy is often prescribed if a flu is very long-lasting or has some lingering symptoms such as the case when people have neglected to take good care of themselves. The person may feel hot and sweaty, with low fever and reddish mucous membranes. Symptoms, either digestive or respiratory, will often have a hot or burning quality. Heat aggravates the symptoms, and the person often feels worse after bathing. Other remedies that may be used but are often used in ‘worst case’ flu situations and, if at all possible, professional medical attention should be sought out. Camphora: Flu with laborious, asthmatic breathing, accumultion of phlegm in the air tubes, cold, dry skin. Cold to touch, yet cannot bear to be covered. Face is pale and blue, lips are livid. Pulse is weak and scarcely perceptible. Cold; even the breath and tongue are cold; very pale, air – hunger, asks for the windows to be opened, to be fanned. Shortness of breath. Must sit up in bed. Bloating, indigestion, and tremendous amount of gas. This is a frequent ICU remedy, when life seems to be draining away. China (Cinchona officinalis): Ailment from loss of fluids: blood loss, vomiting, diarrhea. Anemic; pallid; weak. Sensitive to touch: motion: to cold air. Worse at regular period: alternate days, every third day, every seven days, etc. Weariness of the limbs, with desire to stretch, move or change position. Painless diarrhea with a lot of gas. Antimonium tartaricum: pneumonia with rattling of mucus in the chest. Profuse mucus in bronchi with drowsiness. Loose, coarse rattling but scanty expectoration. Suffocative shortness of breath; alternating with cough. Chest seems full, yet less and less is raised, followed by vomiting or sleep. Nausea; in waves; with weakness and cold sweat. Tongue coated thick white with reddened papillae and edges. Vomiting better lying on right side. Anxiety, aversion to being looked at; wants to be left alone. Influenza with marked weakness on walking. Shooting pleuritic pains (pains with inspiration) during and lingering after influenza. Bleeding from gums, coughing up blood, bleeding from nose. Worse: Lying, especially on left side. Motion of arms. Deep inspiration. Euphorbium resinifera: Flu with burning pains in the bones. Intense burning pains as if a live coal were on, or in the part. Pharyngitis with a sensation as if expired air was a burning flame. Worse: Touch; rest; sitting; beginning of motion. Better: Continued motion; cold applications (compare with Arsenicum, which has burning pains better from hot applications). Euphrasia: Flu with eye symptoms. Acrid tears and bland nasal discharge. Burning, smarting eyes and aversion to light and constant winking. Cough with large quantities of mucus. Ipecacuanha: She coughs till she vomits. Dry, spasmodic cough ending in choking, gagging and vomiting. Person stiffens and becomes pale or blue; gasps for breath. Constant nausea not relieved by vomiting. Profuse salivation with the nausea. Other uses: Any ailments or pains attended with constant nausea and clean tongue. Whooping cough. Sanguinaria: Flu with burning in various parts and headache. Burning in various parts: eyeballs, cheeks, tongue, throat, chest, stomach, palms and soles. Headaches, especially right sided, spreading from shoulder over the head to the eye. Spasmodic cough with expectoration of rust-colored sputum. Runny or stopped-up nose, followed by diarrhea. Desire for spicy and pungent food. 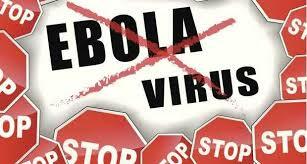 Influenza pandemics have for centuries posed the greatest threat of a worldwide calamity caused by infectious disease. Over the past 300 years, ten influenza pandemics have occurred among humans. According to recent analysis, the 1918-19 pandemic killed 50 to 100 million people globally. Today, even a “mild” pandemic could kill many millions of people. Influenza manifests in the respiratory system and produces generalized aches and pain, especially in the limbs and back. It produces malaise; prostration; fever; coryza, headache; with photophobia and retrobulbar aching; and inflamed respiratory mucous membranes. The incubation period is around 48 hours. The symptoms begin with sore throat with substernal burning; nonproductive cough; and coryza. Cough usually becomes severe and productive and causes pain in the chest. The soft palate, posterior hard palate, tonsils and throat become reddened and painful. The eyes water easily and the conjunctiva may be mildly inflamed. Sweating and weakness may continue for weeks. Complications include bronchitis; pneumonia; breathlessness; spitting of blood; pulmonary edema; encephalitis; and death.Old people; babies; those confined to bed; or with chronic pulmonary or heart disease are the most at risk. An article published in the Journal of the American Institute of Homeopathy in May 1921 states that Dean W.A.Pearson of Philadelphia collected 26,795 cases of influenza treated by homeopathic physicians with only a mortality rate of 1.05%, while the average conventional medical approach had a mortality rate of 30%. During this time there were many Medical Doctors practicing homeopathic medicine throughout Europe and in America, much to the chagrin of non-homeopathic doctors and pharmacists. While conventional hospitals in the US had an 80-90% loss of life during the scarlet fever, Cholera and Flu epidemics around 1919, Homeopathic Hospitals had only a 2-5% loss. There is however a possibility that some of these high numbers of positive effects of homeopathic treatment can be subscribed to the ill effects of the conventional treatment. Many homeopaths reported a decrease in chance of survival in those that had, previously to homeopathic treatment, been taking Aspirin. A.F. Stevens, M.D. in St.Louis said about the patients undergoing conventional treatment: “They died like flies around a plate of poison although ‘science’ did all that could be done to ‘save’ them”. There has been at least three large scale double-blind placebo- controlled trials to treat people with flu or influenza – like syndrome. Each of these large scale studies were conducted by independent researchers, and a treatment is considered proven when at least three independent studies verify positive results. Several studies have suggested that the homeopathic remedy oscillococcinum, which is prepared from a duck liver, is a very effective treatment for influenza. One study found that the remedy significantly increased the rate of cure within two days of diagnosis. This was a high- quality trial, published in an important, non- homeopathic journal and involving large numbers of patients (237 treated and 241 on placebo). It is generally impossible in homeopathy to pinpoint a few remedies that would help in general against the flu. But, what is fascinating is that during an influenza epidemic, a remedy or two will work marvellously. This remedy is sometimes referred to as genus epidemicus. The homeopathic Materia Medica has well over 3,500 remedies. There is no one remedy that is specific to the flu because individuals will manifest symptoms in different ways that are unique to them. The most important point to remember about homeopathy is that it treats the individual. So, we have looked at how to tell the difference between colds, flues and allergies and ways to prevent ‘catching’ something…but we are human with human bodies and now we turn our attention to ‘what to do if’ you are not so fortunate in fending off a virus or bacteria and get a cold or flu. This part will concentrate upon homeopathic remedies for a cold/cough and these remedies would make a great addition to any preparedness minded individuals first aid kit or for anyone trying to help themselves. What is a homeopathic? Homeopathy is a holistic health practice that is a part of alternative medicine. Homeopathic remedies are made from plants and other substances found in nature. They are highly diluted from original tinctures, or extracts with a long history of safe use. The Homeopathic Materia Medica lists thousands of remedies that can be used for a variety of conditions. They WORK. They are safe, natural and easily obtained right now. They are generally very specific in what they ‘treat’ but work on the principle of ‘like cures like’. Homeopathy goes back to the time Aristotle and has proven very effective in short-term or acute illnesses. The trick is to be able to identify your symptoms correctly and to remember to take them repeatedly…its not just pop the pill and go on about your business. You also need to pay attention to see if ‘it’ (the remedy) is working for you. If after 2 doses it is not helping the symptoms then you need to select a different remedy. You do not need a lot of the said remedy to in order to see results, just the correct one. Homeopathy is safe for EVERYONE including infants, the elderly and those on medications. They do not interfere with OTC’s but can be interrupted by foods and drinks that we commonly take such as coffee, alcohol, vinegar, toothpaste and certain essential oils and tobacco products. (Though through personal use I have found that if the remedy is going to work, it will work regardless). Rule of thumb when using a homeopathic…have a ‘clean mouth’. In otherwords, no food or drink for 20 minutes before or after dosing with a homeopathic. Another rule of thumb that cannot be repeated too often, if you are not getting symptom relief, stop taking it! If after 2-3 doses over a 1 hour time period you are not seeing results you can induce the symptoms of the remedy that you are trying to cure…it is called proving and can make symptoms you didn’t have appear. IF YOU DON’T SEE A REDUCTION IN SYMPTOMS THEN STOP TAKING THE REMEDY. Remedies are chosen based on the symptoms for which each one is indicated. This homeopathic remedy is often indicated during the beginning signs of a cold. If you feel anxious and agitated as well as thirsty, aconite may be needed. Symptoms that point to the use of this remedy include a dry, stuffy nose with a thin nasal discharge. A choking cough may be present, along with a scratchy throat. This remedy is recommended for children who are visibly chilled during a cold. Allium Cepa may be needed when a cold coincides with a teasing cough. A clear discharge may come from the runny nose that is very irritating to the nostrils and upper lip. Open air can often stop the runny nose, but being inside can make symptoms worse. When an individual has recurrent colds that seem to appear after being chilled, baryta carb may be indicated. A runny nose may be accompanied by swollen lymph nodes, tonsils or adenoids when this remedy is needed. Bryonia alba, also called bryony is a common homeopathic remedy for congestion (nasal and chest), it is considered most appropriate for people who tend towards irritability and perfectionism, and who become demanding and critical when ill. If symptoms are aggravated by movement, cold and dampness, but relieved by warmth and rest, this is another indication for bryonia. When the eyes are red, irritated and watery from a cold, Euphrasia is a commonly indicated remedy. A cough may result from an irritated throat with a collection of phlegm. Nighttime can cause an increase in symptoms, though lying down may offer some relief for the person in need of this homeopathic remedy. If your head cold leaves you feeling lethargic and achy, gelsemium may be indicated. This remedy is often helpful if the cold is accompanied by a headache, fever and chills along the spine. You may also feel heat or pressure on the face and nose. If you are trembling or shaky, this may be the remedy of choice. When you suffer from a very loose, rattling cough with gagging that produces a yellow mucus, hepar sulph may be indicated. An extreme sensitivity to cold may also suggest the need for this homeopathic remedy. Cold foods or beverages may induce a coughing fit and make you feel even worse. Emotional vulnerability, irritability and touchiness may all indicate this as the remedy of choice. Hepar sulph is often used in cases of bronchitis and croup. May be used for the chest congestion and cough of bronchitis, particularly when coughing causes pain behind the breastbone. A homeopath is even more likely to prescribe kali bichromicum if symptoms are worse in the cold and early in the morning, but improve with warmth. Natrum is often indicated when a head cold produces a clear nasal discharge and sneezing that is worse in the morning. Chapped or cracked lips may be present, as well as cold sores around the mouth. You may experience a headache along with a dampened sense of smell or taste when in need of this homeopathic remedy. If hoarseness is present with a tickly cough hurting the throat, this remedy may be needed. Phosphorus is also indicated when a cold travels to the chest quickly. Talking or laughing may aggravate the cough. This homeopathic remedy is often indicated in cases of laryngitis. This homeopathic remedy is one of the best for colds that result in thick yellow or green mucus. A stuffy nose may occur while indoors, but become runny when outside in open air. An increase in congestion and high fever may take place in the evening. If coughs are dry in the evening, yet become loose in the morning, this remedy may be needed. Children who need Pulsatilla often wish to be held or comforted, and respond well to the remedy. Aconite is often needed when the symptoms of a cold first appear. The child may appear to be chilled with the onset of symptoms taking place after exposure to cold air. Symptoms may worsen after midnight in the child who needs aconite. Anxiousness and thirst may also be present. Aconite should be used when a cold comes on suddenly accompanied by chills, sweats and a fever. According to Dr. Ellen Feingold, the remedy should be taken every 30 minutes to two hours until symptoms resolve. When a child has a cold that causes a burning discharge from the eyes and nose along with excessive sneezing, Dr. Carolyn Dean recommends Allium Cepa. This homeopathic cold remedy should be given every 30 minutes to two hours. When improvement is seen in the discharge, the frequency may be decreased. The remedy may be stopped once the inflammation of the eyes and nose has resolved. Colds that come on slowly in a fatigued child with vague muscle aches, headaches and chills up the spine, indicate that Gelsemium may be the homeopathic remedy of choice. A fever is often present, but the child does not appear thirsty. Administer the remedy every 30 minutes to two hours, slowly reducing the frequency as the symptoms abate. Infants who suffer from nasal congestion that becomes much worse at night, yet turns into running in the day time, may need Nux Vomica. A burning sensation may accompany the runny nose. According to Dr. Maesimund B. Panos, irritability and impatience are also common when Nux Vomica is needed for a cold. The remedy may be administered every 30 minutes to two hours, reducing the frequency as symptoms begin to disappear. Pulsatilla is often the best remedy when a cold is accompanied by thick yellow mucus discharged in large amounts. If an infant does not have a fever yet feels warm consistently, this may be a well-suited remedy. Give Pulsatilla every 30 minutes to two hours. Once the mucous has become clear or less prevalent, immediately reduce the frequency of administration. There are many combination homeopathic remedies that contain the above listed remedies. Many people will choose a combination remedy to use to take the guess work out of the situation. ColdCalm by Boiron…though I have found this combination remedy best for the start of cold and not for symptoms that are full-blown. I will mention too that I keep handy this cough syrup by Boiron. It is called Chestal Honey and it works well too! There is one for adults and one for children and is in a honey base (not suitable for infants). Print it off and keep it handy just in case! Fearful, restless, cheeks hot and red. Sudden dry painful cough/croup watery mucous, sweats on uncovered parts. High fever with sensitivity to light. Thirsty, watery runny nose, possible bright red nose bleed. Profuse, bland, watery discharge from eyes. Nasal discharge is profuse and burning. Warm rooms aggravate, better in open air. Complaints are usually right-sided. Watery, burning nasal discharge. Restlessness, weakness, anxiety, thirsty for sips at frequent intervals, chilly, desires company. Right nostril burns/corrodes top lip watery thin discharge, but nose feels blocked. Excessive sneezing, Irritation, tickling of the nose. Cold might move to chest. Midnight to 2am. Sight or smell of food. high fever, red face, cold extremeties, throbbing pains, patient radiates heat. A Cold slow to develop, painful coughs–patient holds chest when he coughs; worse from slightest movement, dry mucus membranes and very thirsty, worse for company, worse for having to answer questions, very irritable, wants to be alone. Better for being still and quiet. cold moves into chest. A painful, dry, spasmodic cough. Left-sided headache, otherwise, right-sided complaints. From applying firm, cool pressure to head and chest. Worse from damp and cold/damp weather, worse from change of weather, worse from drafts. The opposite of Allium Cepa: Nasal discharge is bland; discharge from the eyes is burning. Cough only in the daytime. Bursting sensation as sinuses fill. At night little pains all over body. Heat/fever descends the body, sweats only on front. Later symptoms, chilliness, loose violent cough, pressing pain under sternum. Lying down in darkened room but may feel more blocked up. From warm, windy weather. Being indoors. A cold that comes on slowly. Beginning of colds when symptoms are vague. Right-sided complaints. Throat is red and swollen. Applying a cold compress to the forehead. Cold comes on gradually. Patient’s appearance: dopey, drowsy, droopy and dull. You could also add dizzy! Inclination to sleep. Apathetic. Weakness, chills run up and down back, headache starts in back of head or neck and spreads forward, heavy head, thirstless. Early in the morning and last thing at night. Over-sensitive to pain; anxiety, irritable, angry outbursts, chilly and worse from cold, intolerant of drafts, worse uncovering a hand or a foot, swollen glands, bad odor of discharges, splinter-like pains. Cold starts with watery runny nose. Later, excessive yellow mucous with offensive-smelling discharge and sneezing. Irritability and chilliness. Thick, yellow, ropy, stringy nasal discharge. Sinusitis. Thick mucous may block nose. yellow or green discharge with postnasal drip. Sinus headaches, pressure pain at root of nose. Beginning stages of a cold with sneezing. “Egg-white” nasal discharge. Runny eyes worse in open air or wind. Sun and light aggravate. Warm, worse heat. Cold sores on lips, vesicles in mouth, cracked lips, ailments from grief. Wants to be left alone. Cold starts with fits of sneezing and a thin catarrhal discharge consistency of the white of a raw egg. Nose maybe blocked with tendency towards developing cold sores. Applying cold compresses to the sinuses. In sea air or wet weather. Mental, physical exertion. Around 10am. Bright light or hot sun. Noise, talking, music. Cold, chills, worse slightest draft of air, ailments from over-work, irritable and angry, impatient; runny nose in the morning, obstructed at night; stomach pains, better warm drinks, constipation with ineffectual urging. and stimulants such as coffee. Raising hands above the head. In the evening and at night. Congested nose and scratchy throat. Worse cold and cold wet weather. Better warmth and warm bathing. Stiffness and restlessness. Desires cold milk. Worse in cloudy, foggy, rainy weather; worse getting wet. Can’t be still, must move. Cough worse in cold room. I cannot emphasize enough that if you don’t see symptom improvement within 4 doses in the first 1-2 hours then you need to try a different one…don’t keep taking something that isn’t working for you! Also, I will note, that if you aren’t getting better within a week, symptoms become severe or a high temperature is run for more than 6hrs, you should seek professional help. Wisdom is knowing when to ask others for help. The next article will discuss and share homeopathic remedies for the flu. Be sure to see Pt.4 coming soon!